The Feathercraft Java (FJ) is an inflatable, but perfectly serious, sit-on-top sea kayak. The kayak is long (4.7m), quick and packs into a large holdall that fits in the boot. But is it a serious fishing platform? Read on for a personal view. 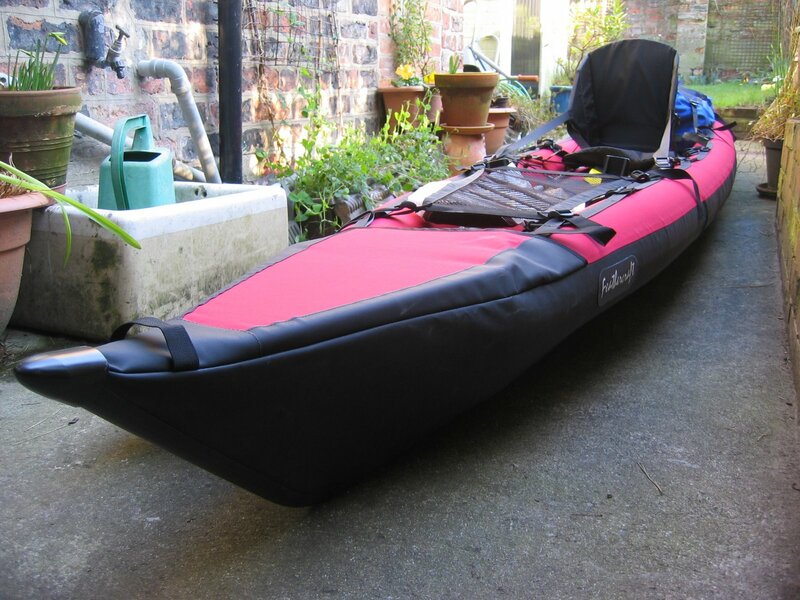 it is truly portable – nothing quite like closing the boot and driving off with no visible sign that you’ve been kayak fishing for several hours! it is very long, therefore it is quicker than many fishing kayaks. It is also about half the weight, so it’s easy to paddle. it converts to two persons. you can store it wherever in the winter months. you have to dry it (see below for my solution) before storing it away for any length of time. lack of secure storage – everything has to be in dry bags. it’s fiddly to assemble, with quite a few design issues (see below for more details). 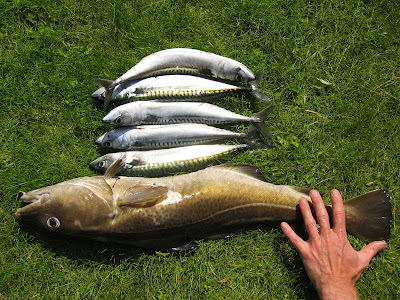 it’s not a dedicated fishing platform – e.g. you can’t attach things like fish finders, rod holders, etc. very wet ride – you can’t use it without dry pants. 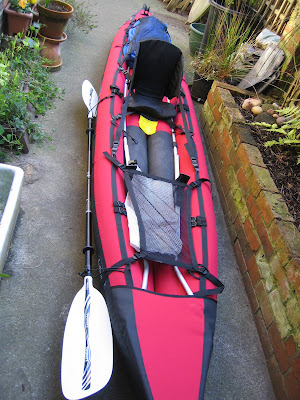 From the website, you might gather the opinion that this company isn’t interested in the fishing market, but they have just launched a backpackable fishing platform, so they perhaps they will one day launch a dedicated portable fishing kayak. 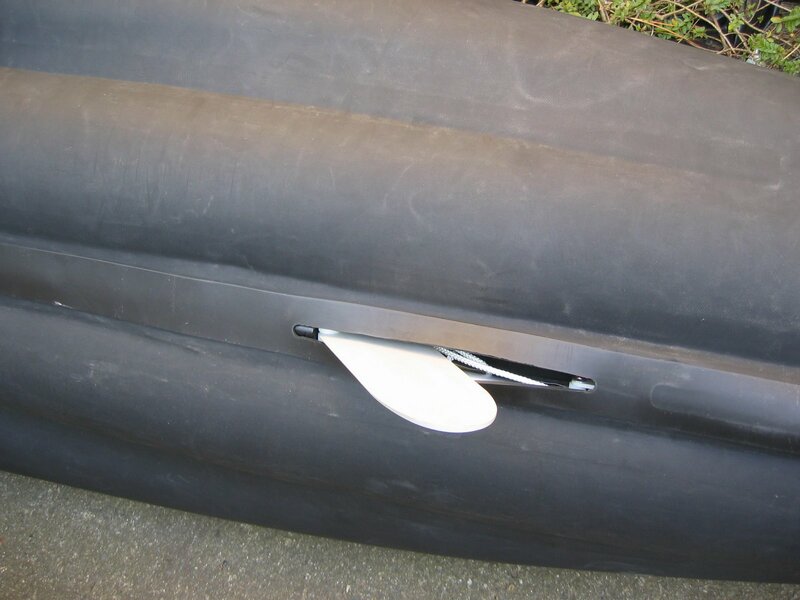 Until that day, you’ll have to put up with something like the Java if you don’t have space to store a kayak. 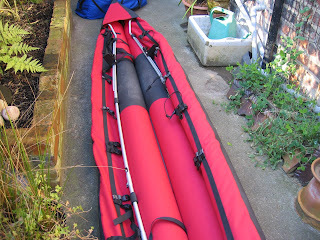 The FJ has aluminium poles to stiffen the kayak. It’s not as stiff as a hardshell however, and once the swell gets around 4 feet or more, or it’s gets “lumpy” with crosswinds and so on, the kayak flexes noticeably. 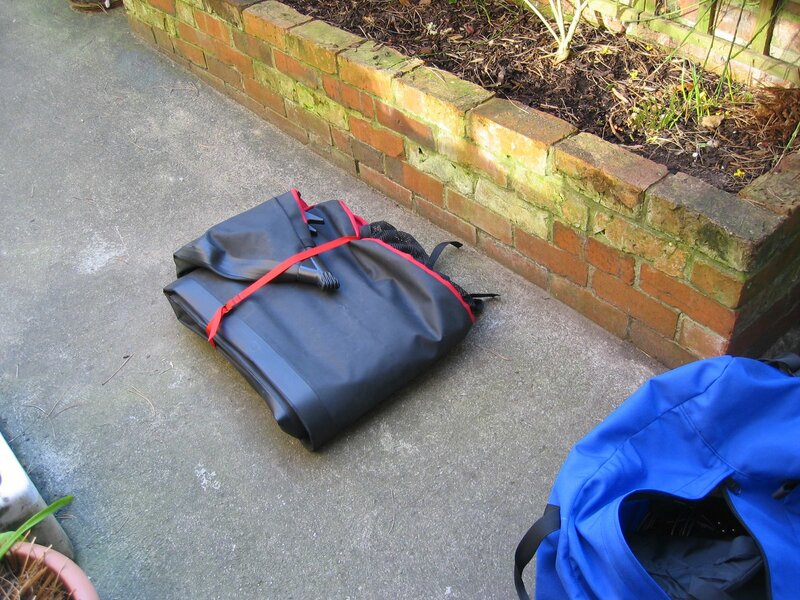 The FJ has four socks that you inflate – so don’t worry about puncturing one. 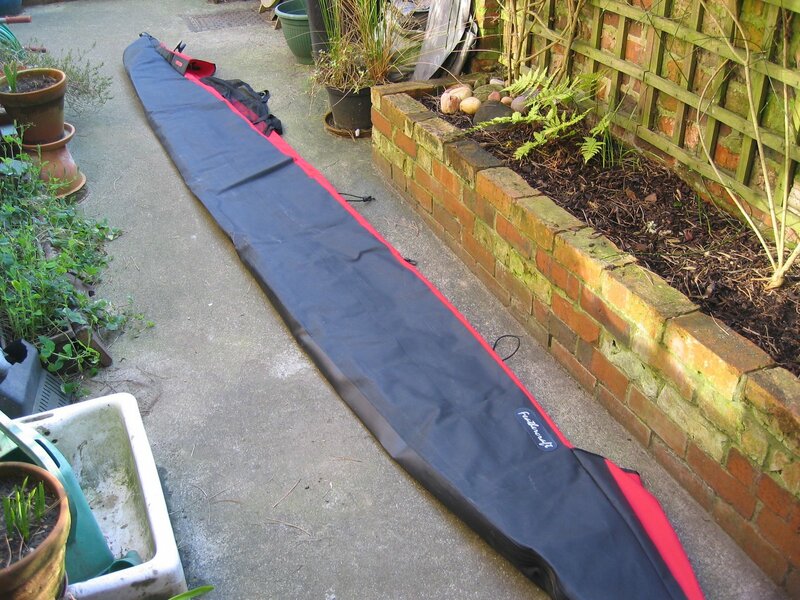 The FJ has a drop down skeg – this needs putting down before you set off from the beach. The kayak will not go in a straight line otherwise. The kayak has a good profile, as mentioned above, it feels quick to paddle. Just in case someone from Feathercraft reads this – your product is not perfect, please look at the following suggestions! instead of adjustable straps for the seat, how about adjustable clips? No more irritating guesswork trying to judge if the seat is good or not. Quick release clips would half the assembly time. put those clips on the mesh webbing for equipment too, please! how about some dedicated fishing accessories? A fold-up seat with rod holders in the back would be nice, for example. But all that said, it’s still great to be able to pack it in a bag and head off to the coast. No one need ever know you have a kayak in the boot, so no security worries with kayaks strapped to the roof of the car. 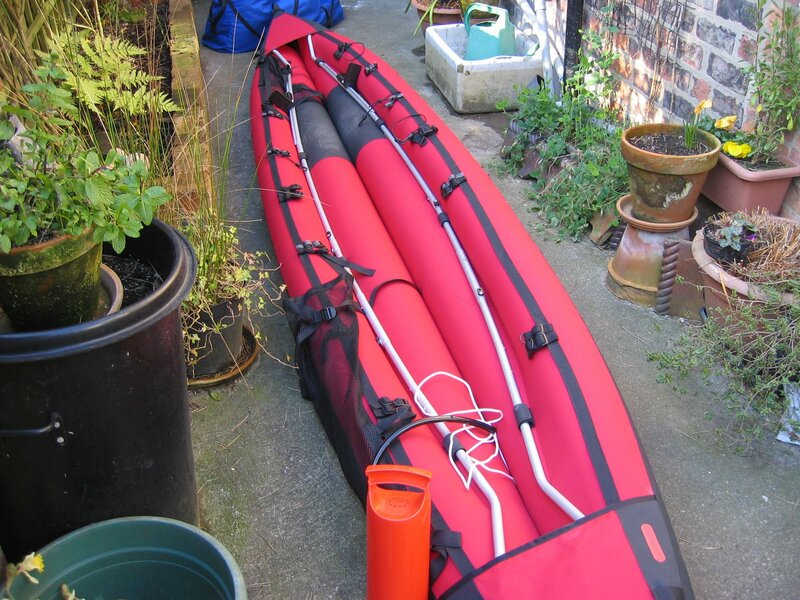 In fact, no lifting up of heavy kayaks onto roof racks at all. Of course, sometimes the pumping it up can get to be annoying, particularly in the baking sun, as can the lack of equipment space (no fishing crates on this craft – you carry it all either in your pfd, or in a dry bag). 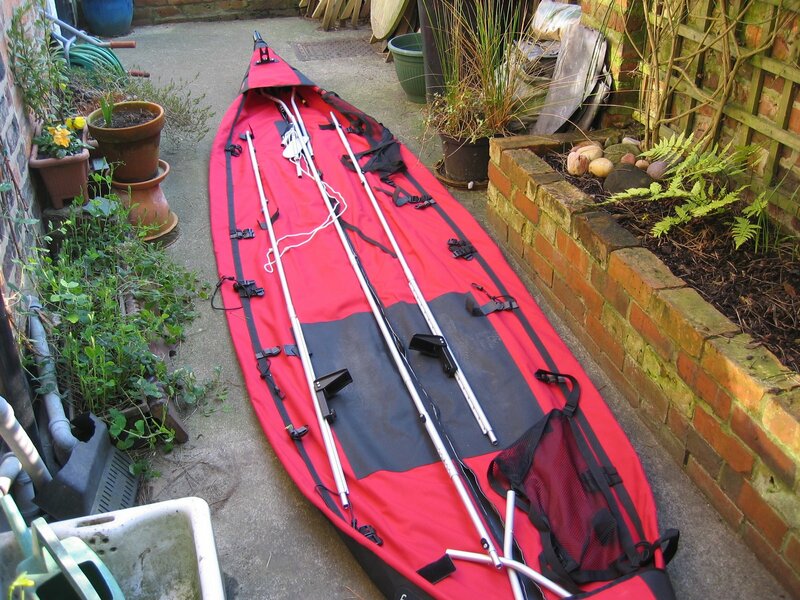 Incidentally, if you fish with this kayak (which is not a dedicated fishing kayak), then you will need at least a dedicated fishing pfd – I use and recommend the high vis Stohlquist. And of course if you tip in the surf, you can lose stuff as the mesh bags don’t really secure things properly unless they can be wedged tight underneath them. Don’t fancy doing that with all those fish? 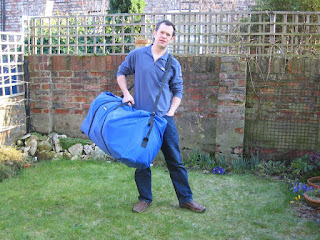 Then you’d better tie your fish bag on tight if coming home through surf! Also remember to do it up – a bag full of water tied to your upside down kayak is trouble. 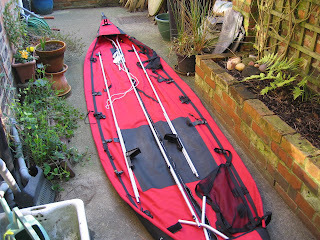 The FJ is mainly designed as a paddling kayak. Thus it is quick over open water, but feels like a sit-in, which can be a bit alarming if you are used to the rock solid stability of something like an Ocean Prowler. I only feel really secure in it when fishing with my feet over the side – so wetsuit socks and boots are needed. 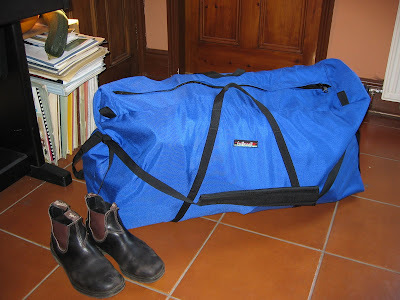 To keep everything portable and simple, I put it all together with equipment that all fits in the bag – so four-piece paddles, 3 piece rod (not many options available for this – I use a 20lb Orvis spinning rod, which struggles a bit with big fish). In the 6 months I’ve had the FJ, it’s been very good. 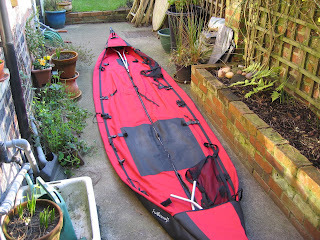 I’ve kayak’ed in Belgium, in the Scilly Isles, all up the Yorkshire coast and on Ullswater. 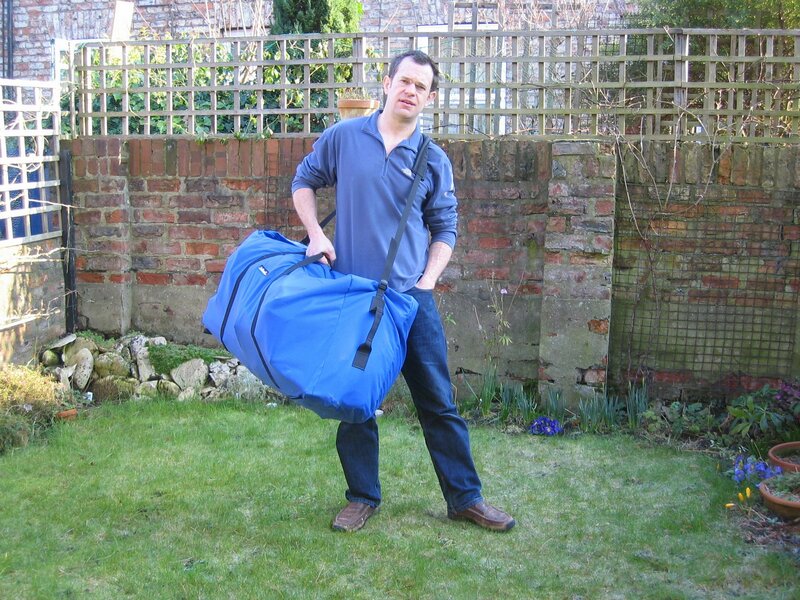 It’s great to take camping for example – the benefits of having a portable kayak are very handy. 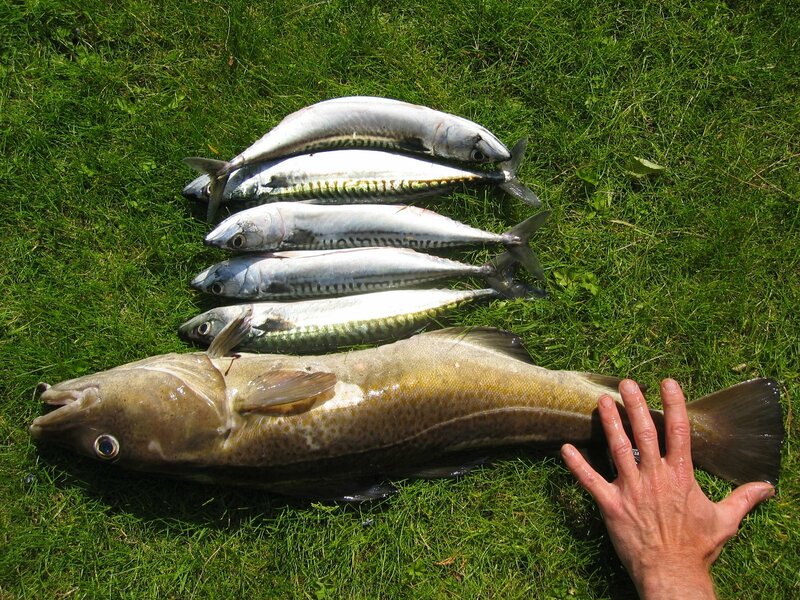 The results – my first ever cod at 28 inches in length! Just over 8lb gutted (bathroom scales). Since then, there have been many dozens more!